Barque: Thomas Moore as Catalyst: Need an outlook change rather than a job change? 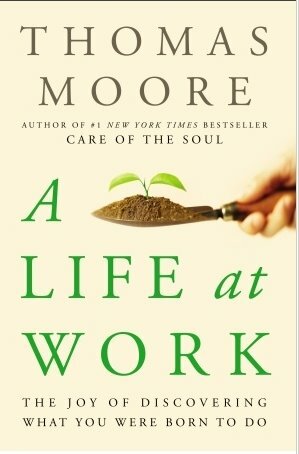 The Personal Finance Weblog hosts a book review by Justin McHenry of "A Life at Work by Thomas Moore". McHenry writes, "One of the themes throughout the book that I appreciated was Moore's idea that not every passion is a career, and we shouldn't beat ourselves up about being on the wrong path if our #1 passion isn't our full-time job. We can't all realistically be musicians, or pilots, or authors or working tirelessly to end world hunger or whatever your passion may be. That doesn't mean you can't still pursue those passions and fit them into an overall satisfying life. Sometimes you need an outlook change more than a job change." The reviewer concludes, "In the end, A Life At Work isn't a logical fit to review on a personal finance blog, because there's nothing here that's going to help you make more money or answer an interview question correctly. But work is where we make our money, and it's where we spend most of our time, so it makes sense to keep thinking about how to make that time rewarding in more than just dollars and cents." McHenry suggests Moore's alchemical approach may help.